Join us on the roof Tuesday, June 26 for a Book Launch Party that’s more rock show than lecture with UNC English Professor, writer, and musician Florence Dore and her husband, musician Will Rigby. Celebrate the release of Novel Sounds: Southern Fiction in the Age of Rock and Roll on the roof with cocktails and snacks from the bar, remarks by Dore, and a performance by … wait for it … Will Rigby and the Novel Sounds with Peter Holsapple and Eric Peterson on guitars, FJ Ventre on bass, and Rigby on drums. Various singers will contribute, including Florence Dore herself. Books available for purchase courtesy of The Regulator Bookshop. The 1950s witnessed both the birth of both rock and roll and the creation of Southern literature as we know it. Around the time that Chuck Berry and Elvis Presley put their electric spin on Southern vernacular ballads, a canonical group of white American authors native to rocks birthplace began to write fiction about the electrification of those ballads, translating into literary form key cultural changes that gave rise to the infectious music coming out of their region. 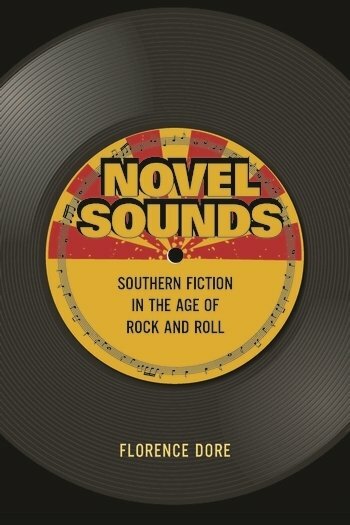 In Novel Sounds, Florence Dore tells the story of how these forms of expression became intertwined and shows how Southern writers turned to rock music and its technologies tape, radio, vinylto develop the rock novel. Dore considers the work of Southern writers like William Faulkner, Flannery OConnor, and William Styron alongside the music of Bessie Smith, Lead Belly, and Bob Dylan to uncover deep historical links between rock and Southern literature. Along with rock pioneers, Southern authors drew from blues, country, jazz, and other forms to create a new brand of realism that redefined the Southern vernacular as global, electric, and notably white. Resurrecting this Southern literary tradition at the birth of rock, Dore clarifies the surprising but unmistakable influence of rock and roll on the American novel. Along the way, she explains how literature came to resemble rock and roll, an anti-institutional art form if there ever was one, at the very moment academics claimed literature for the institution. –I think Georgia and I combined have a pretty good claim on being Will Rigby’s biggest fan. Dore’s husband Will Rigby is a founding member of The dBs, formed with Peter Holsapple, Chris Stamey, and Gene Holder in the late 1970s. The dB’s all hailed from Winston-Salem although they were a New York band, and are remembered as highly influential purveyors of intelligent melodic rock. He has recorded and toured with many artists, most notably with Steve Earle and the Dukes from 1999 to 2015, touring extensively and playing on five albums, one of which won a Grammy Award. Rigby wrote and performed lead vocals on the song Write Back, on The dB’s 2012 reunion album Falling Off the Sky (Bar/None). He has released two solo albums and two singles. In a recent interview with Pitchfork, Ira Kaplan of Yo La Tengo had this to say of Wills solo act: I think Georgia and I combined have a pretty good claim on being Will Rigbys biggest fan. . . . He’s just the greatest. We put out his first solo album, Sidekick Phenomenon on Egon, which is a great record, but it’s not as great as Paradoxaholic, his second record. I could listen to that record every day, and it was nice to be reminded of his greatness on that day.